For beginners or experienced skiers, for a sporting challenge or a day out with the family, Les Mosses resort is a cross-country skiing paradise in the Vaudois Alps. The 42 km of perfectly groomed trails between Les Mosses and Lécherette are prepared for classic and skating styles of cross-country skiing. The location and the plentiful snow guarantee optimal conditions from mid-November to mid-April and the Maison de l’Espace Nordique offers skiers all the necessary facilities. During the winter, fun or competition races are arranged throughout the season. 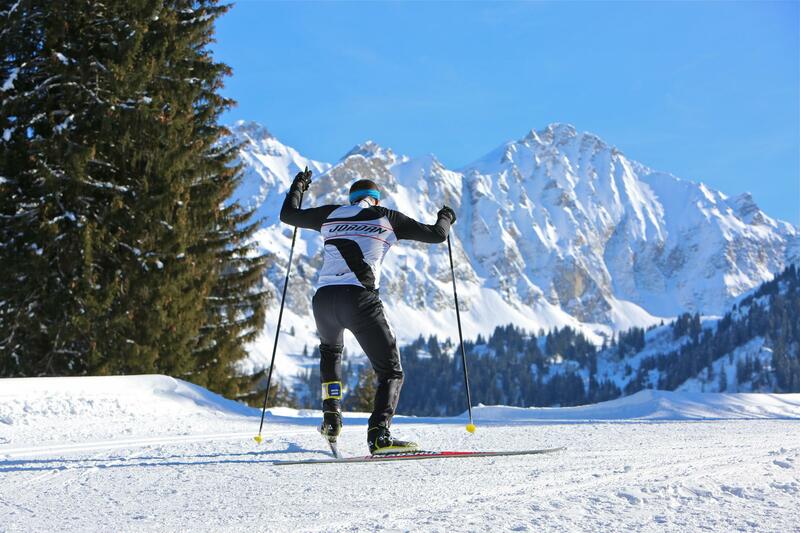 Having hosted the Swiss Biathlon Championship for the last 20 years, the region is now the capital of this sport which combines cross-country skiing and shooting. The organisation of events or taster sessions, with equipment rental, is helping to promote this exciting sport. Admission stickers can be purchased at the tourist office and in sports shops, which also offer equipment rental. Tracks are only allowed to cross-country skiers, dogs are only allowed on the blue track. Possible lessons with the ski school.